If anyone lives in Virginia you know that this weather has been ridiculous lately. First it's snowing, then hailing, then raining, and now it's a beautiful sixty degrees outside. I don't know about you guys, but I am so ready for summer. 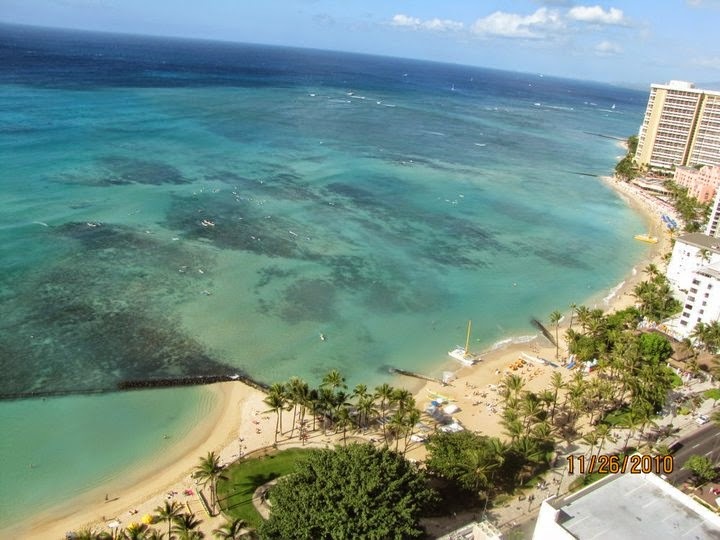 Thinking about summer just reminds me of being back at the beach, and when my mind goes back to the beach, it makes me think of the best vacation that I have ever had and that was in Waikiki, Hawaii. I went to the tropical island my senior year of high school with my family as well as my cousins, aunt, and uncle during Thanksgiving Break. It was the best! I seriously felt like I was in paradise. Besides being in an ocean front condo, my cousins, brother and I had a lot of freedom. We were able to walk all around by ourselves and visit the different shops and restaurants. My whole lifestyle that I adapted while on that vacation I have tried to keep with me. Everyone was so relaxed and carefree. It was something that I admired most about the island. If you haven't been yet, I suggest you buy a plane ticket right now and get on your way. I loved waking up early every morning (7 a.m. because I never got used to the time change- 5 hours behind va!) made my morning coffee and sat outside on the balcony watching the sunrise. I either had a book in my hands or my laptop just scrolling through tumblr. I got to tan on the beach every day. I would lie out in the sun and swim in the clear ocean water. The sand was never too hot, the water was never too salty...the entire beach was perfect. Snorkeling was a fantastic experience! The water was so clear and I could see everything. My brother and I used an underwater disposable camera to capture some of the things we could find. Yes, we went to Hawaii before iPhones & Lifeproof cases were a thing. The hardest part though was that it is actually illegal to touch the coral in the sea because you would be damaging the natural habitat. So staying a float took all the strength I had! I was super excited when I got to swim with dolphins. 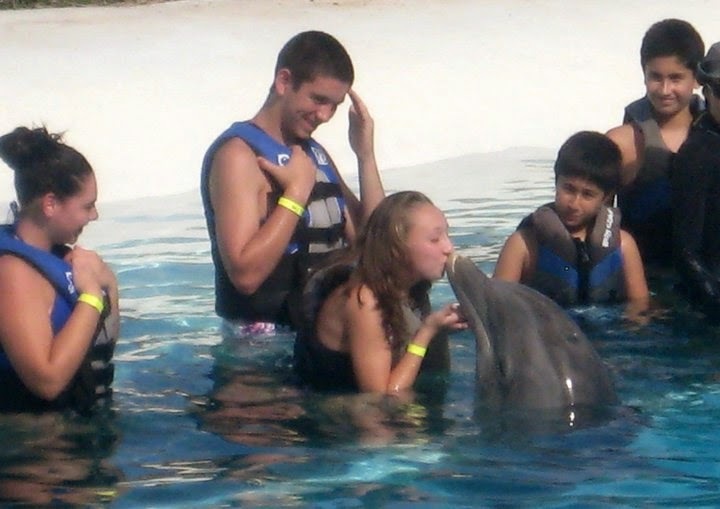 Not only did I get to swim with the dolphins, but I even got to kiss one! How many people can say they've done that before? And of course, Peal Harbor was remarkable. To not only see a part of history, but to actually be where it happened gave me chills. It was a fantastic experience to be there. 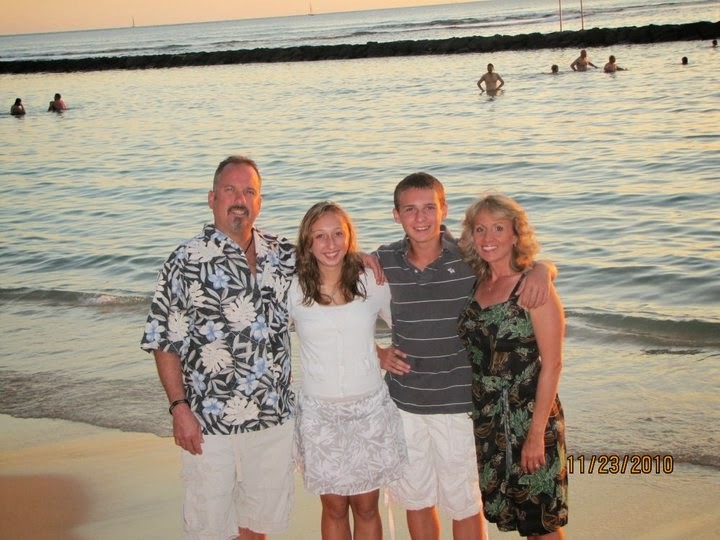 Between the sun, surf, and sand, I can definitely say that Hawaii was truly paradise. Although I won't be spending it there, I will be trying to keep a Hawaiian state of mind this summer. Aloha!